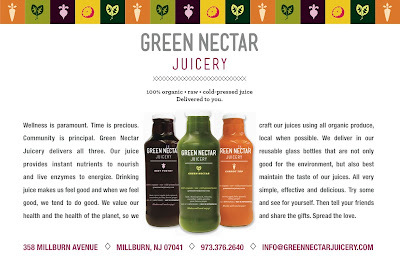 This August, Green Nectar Juicery will be opening in Millburn at 358 Millburn Ave. 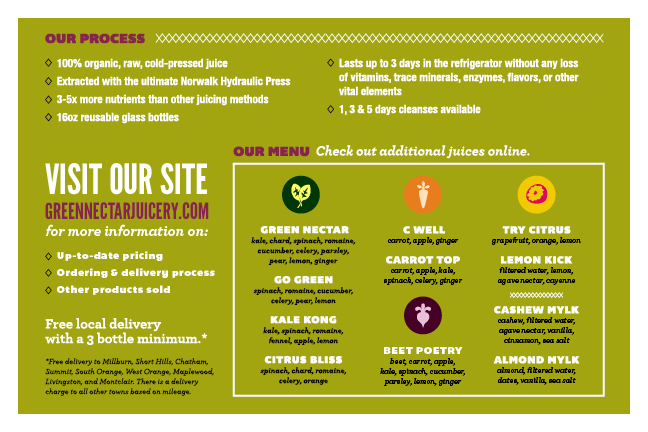 The owner, Tara Prupis, will be at the CSA this Friday giving samples of her 100% organic, raw, cold pressed juices and answering any questions you may have. 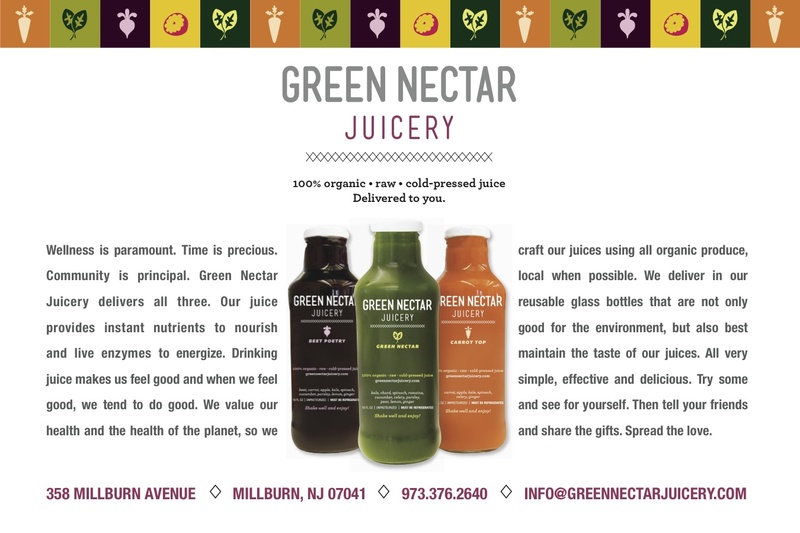 Almond Mylk - Almond, Filtered Water, Dates, Vanilla, Sea Salt* Free delivery to Millburn, Short Hills, Chatham, Summit, South Orange, West Orange, Maplewood, Livingston, and Montclair. 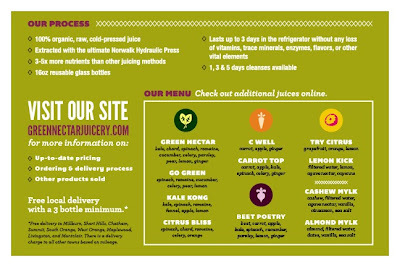 There is a delivery charge to all other towns based on mileage.